One of the largest commuting expenses that Canadians must deal with is the rising (and sometimes falling) prices of gas for their cars. As expensive as gas prices can be, some savvy Canadians have jumped the border to fill up their tanks, but before filling up the tank, it’s good to know just how much you’ll be saving. If you’re already saying “there’s an app for that”, you couldn’t be more right! 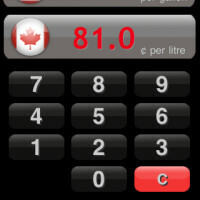 A local Vancouverite has developed Gas Runner, an iPhone/iPod Touch app that is ideal for those who buy gas south of the border. 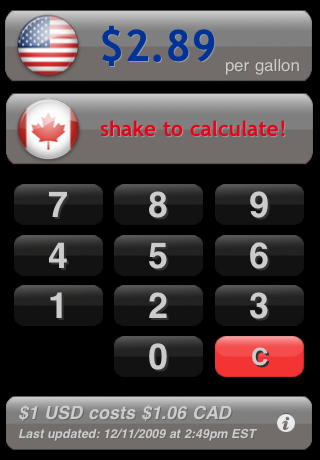 The app allows users to input the American pump price in dollars/gallon and Gas Runner then calculates the equivalent Canadian cents/liter. 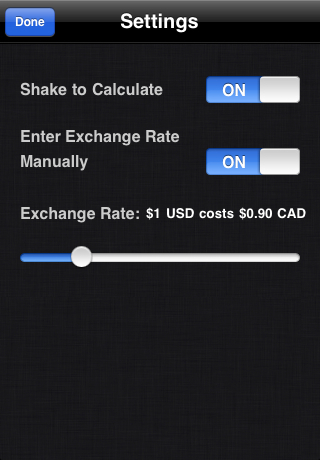 Since the app deals with multiple currencies, the current exchange rate is pulled from the web. If you have an iPhone with a data plan, then the automatically updated exchange is available at anytime. If you don’t have a data plan or if you have an iPod Touch, you can use WiFi where available. Users may also manually input the exchange rate. After all your numbers are inputted, users may begin the calculation or simply shake the iPhone/iPod Touch to calculate. Also note that the shake feature can be toggled off via the app info page. The interface and navigation of the app is very clean and intuitive. The only real thought required to use the app is when locating the USA gas pump prices. Other than that, the app is extremely easy to use. Gas Runner is available on the iTunes App Store for $0.99.